With no football on Sunday(ok, the Pro Bowl but its not the same) I had some time to stamp and so I played along with the color challenge from Sunday Stamps and the sketch from The Paper Players. When I saw the colors for Sunday Stamps I thought it would make a cute Valentines Day card using the sweet little girl from the Greeting Card Kids set. I don't like purple but I worked it into my card and didn't even pitch a fit, wooohooo! LOL Even though it looks darker in the photos and more red I did use Raspberry Ripple for my embossed main panel, and also to color in the girls dress. Head over to both these blogs and check them out! I love this adorable little girl with her Valentine! This is a lovely color combination! Love your card Lisa! I love the little girl from this stamp set! You did a great job with the coloring. 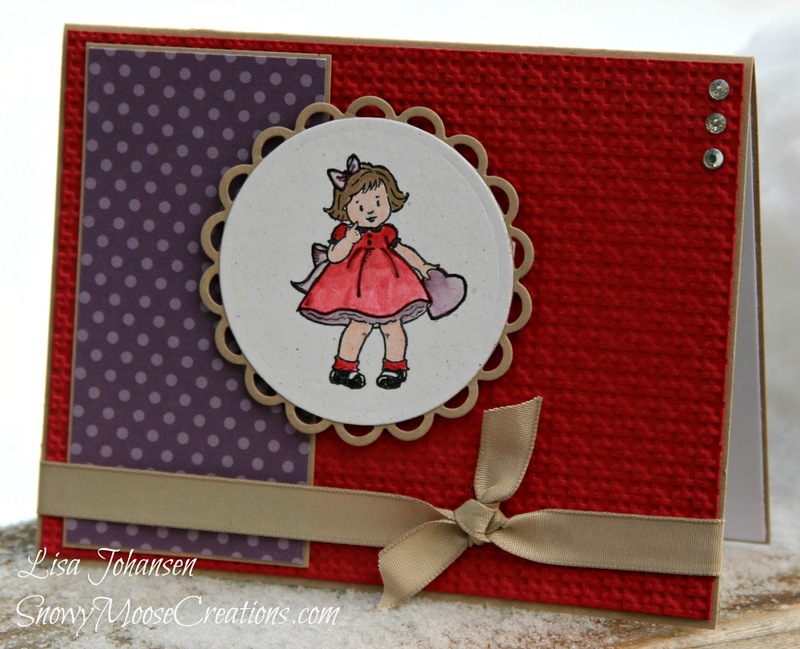 Thanks so much for joining us this week at Sunday Stamps. Really cute card and glad you didn't "pitch a fit" over the purple. haha Thanks for playing along with us over at Sunday Stamps this week! I love this sweet little girl image and you did a great job coloring it. The kraft paper also sets off the bright colors nicely. 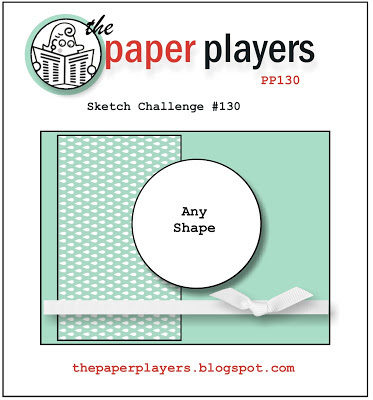 Thanks for sharing your creation with The Paper Players this week, Lisa! Aw, so cute....one of my favorite little images! Thanks for playing with my Paper Players sketch this week! She is darling! Great use of the colors and the sketch...love the touch of plum on her petticoats and heart! Thank you for joining us at The Paper Players! Super cute!! Why do I still not own that set!? 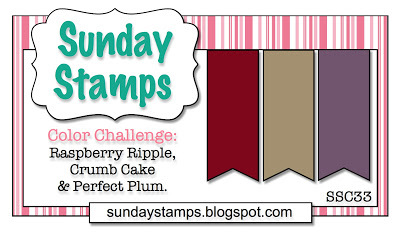 I'm impressed that you included purple ;) Glad to see you over at Sunday Stamps this week! She's such a cutie. Love all the texture you have - and the extra bling in the corner. Thanks for playing along with us at Sunday Stamps this week. Nice card. I love the texture of the red background. Well done. This came out great.. I was struggling with these colors a bit I love how you used them. Thanks for playing along with us at Sunday Stamps.